With skiers and snowboarders chomping at the bit, the summer is well and truly over in Tirol now that the winter season start has been announced for the Stubai Glacier. Expect some big crowds packing the upper slopes of the glacier over the coming weekend. Sunny, dry conditions are forecast for the following week. 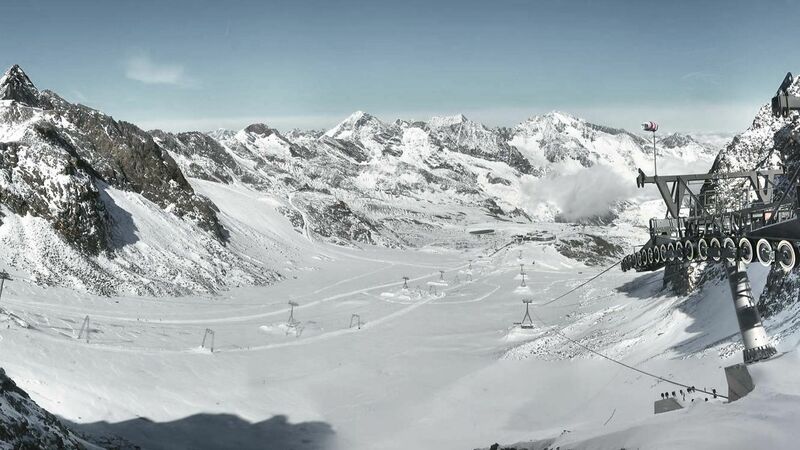 Looking at the webcams, the skiing is likely to take place from the Eisgrat station at 2900m and above. Cooler night time temperatures will enable the opening of the links to the Gamsgarten in the coming days / weeks. After the season opening weekend, the Stubai Glacier will host the annual Ski Oktoberfest on the 13th and 14th October with leather shorts on chair lifts and big steins of beer. Live music will be pumping out down the valley in Neustift. From the 19th-21st October is the Stubai Zoo Park opening with music, tricks and a distinct absence of carving skis. Whilst the ski shows of northern Europe are still yet to take place, the glacier skiing in the Alps should be in full swing and event planners looking for autumn action should consider the options on the glaciers for group and corporate ski trips.